Description: Arugula, which is widely popular as a salad vegetable, is a species of Eruca native to the Mediterranean region, from Morocco and Portugal in the west to Syria, Lebanon and Turkey in the east. 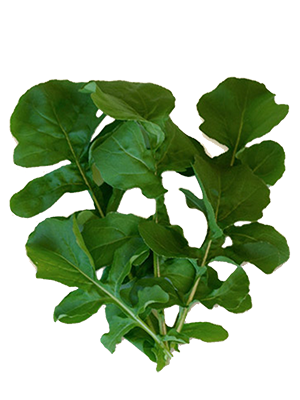 Culinary Uses: Arugula has a pungent, peppery flavor that is exceptionally strong for a leafy green. It is frequently used in salads, often mixed with other greens in a mesclun. It is also used raw with pasta or meats in northern Italy and in western Slovenia. Brighten up your salad or enrich your pasta dishes with Arugula. Garden-fresh flavor with just a hint of spiciness makes it an ideal cooking companion.